Alexa Daniels-Shpall is a Police Special Investigator at the Los Angeles Police Department’s Office of the Inspector General. As a member of the Use of Force section, she has authored several public reports on the LAPD’s policing practices and use of force, which have resulted in significant changes in department-wide policies and procedures. These reports have covered topics such as “suicide-by-cop” incidents, less-lethal force options, and a comparison of use of force policies, investigations, and training at five U.S. law enforcement agencies (including the LAPD). Additionally, Alexa drafted the LAPD’s policy for releasing video from critical incidents to the public, and she is also responsible for monitoring and providing input on the development and implementation of LAPD training. Prior to joining the Police Department, Alexa worked as a Special Investigator at the Los Angeles Fire Department’s Office of the Independent Assessor where she wrote public reports on the LAFD’s employment-related litigation, risk management practices, and disciplinary system. 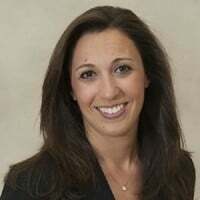 Alexa is an attorney and holds both a Juris Doctor and Master of Public Policy degree from the University of Southern California, as well as a Bachelor of Arts degree from the University of California, Los Angeles.